One of the leading Jews in Cranganore, sixteen miles north of Cochin, southern India, about the middle of the sixteenth century. Together with Samuel Castiel, Ephraim Salaḥ, and Joseph Levi, he built a synagogue in Cranganore during the year 1568. 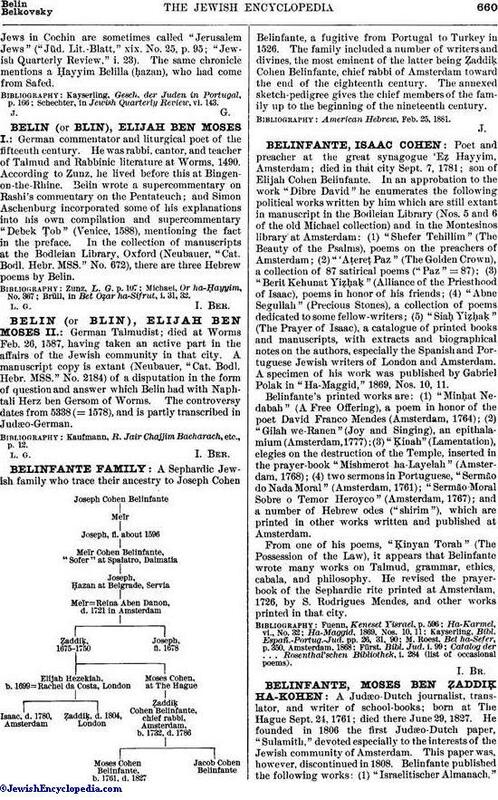 According to an anonymous Hebrew chronicle giving the history of the Malabar Jews, and now preserved in the University Library at Cambridge, England, his grandfather had come from Jerusalem; though this statement is perhaps not to be taken literally, as the whiteJews in Cochin are sometimes called "Jerusalem Jews" ("Jüd. Lit.-Blatt," xix. No. 25, p. 95; "Jewish Quarterly Review," i. 23). 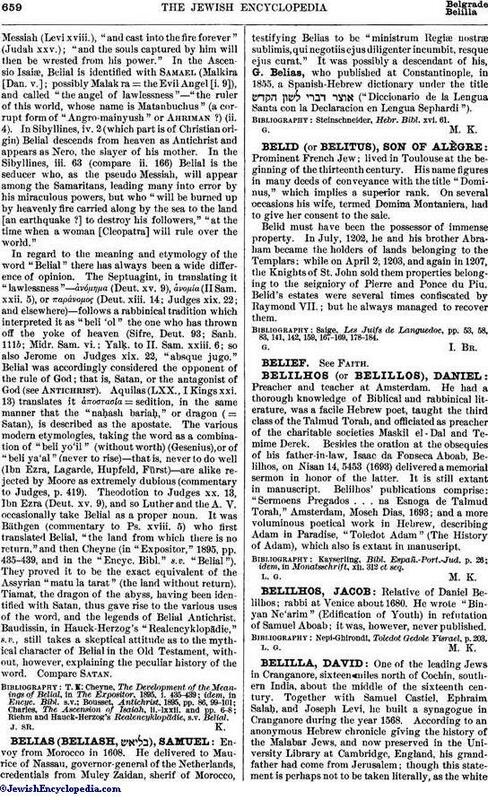 The same chronicle mentions a Ḥayyim Belilla (ḥazan), who had come from Safed. Schechter, in Jewish Quarterly Review, vi. 143.